The idea of going to the dentist can be terrifying. To help calm your nerves, the team at Robert F. Wilcox, DMD, PC, located in Butte, Montana, offers oral sedation options. Oral sedation calms you down before your procedure so that you can get work done without feeling fear. Don’t put off going to the dentist any longer. Reach out to the team at Robert F. Wilcox, DMD, PC over the phone or online today to learn how oral sedation can help you. If you’re particularly nervous before your procedure, or you’re going to undergo a more long and painful procedure, the team at Robert F. Wilcox, DMD, PC may administer oral sedation. 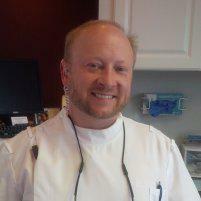 During oral sedation, Dr. Wilcox administers a drug to calm or sedate you before he begins your dental procedure. The drug may simply help you relax, or it may put you to sleep. The sedation drugs that put you to sleep are known as general anesthesia. Common examples of oral sedation include those inhaled via mask, like nitrous oxide (also known as laughing gas); enteral sedation (calming anesthesia taken orally as a liquid or pill); and IV sedation. Sometimes, he may prescribe you a strong anti-anxiety pill, such as diazepam or temazepam, to take before your appointment. The type of oral sedation Dr. Wilcox offers depends on the type of procedure you’re having done, your level of anxiety, and your medical history. Is oral sedation right for me? If you’re nervous about your procedure, or you experience any type of dental phobia, oral sedation may be right for you. Dental phobia is the fear of visiting the dentist. It’s extremely common and nothing of which to be ashamed. If you’re interested in dental sedation, talk to your dentist. Is oral sedation safe for my child? When administered properly, dental sedation is perfectly safe for your child. If your child is going to undergo a procedure that involves dental sedation, your dentist will go over with you how to prepare. For example, you may need to restrict your child’s food and drink intake before and after sedation. To make sure everything goes smoothly, follow your dentist’s instructions carefully. Can I drive myself home after oral sedation? After you’ve experienced oral sedation, especially general anesthesia, you’re likely to be groggy and confused. For several hours, you may have trouble speaking, eating, and drinking. In this state, it’s not safe to drive yourself home, so make sure to arrange a ride home before coming in. If you’re nervous about going to the dentist, consider oral sedation! Dr. Wilcox and his team want to care for you. Learn more about the oral sedation options at Robert F. Wilcox, DMD, PC by reaching out today online or over the phone. For your convenience, you can book appointments using an online booking tool.